This exhibition examines the British arrival in Helmand province, Afghanistan, in 2006 and the decisions that shaped the way the conflict escalated, exploring the impact this period had on those who were there and the lessons learnt from this deployment. 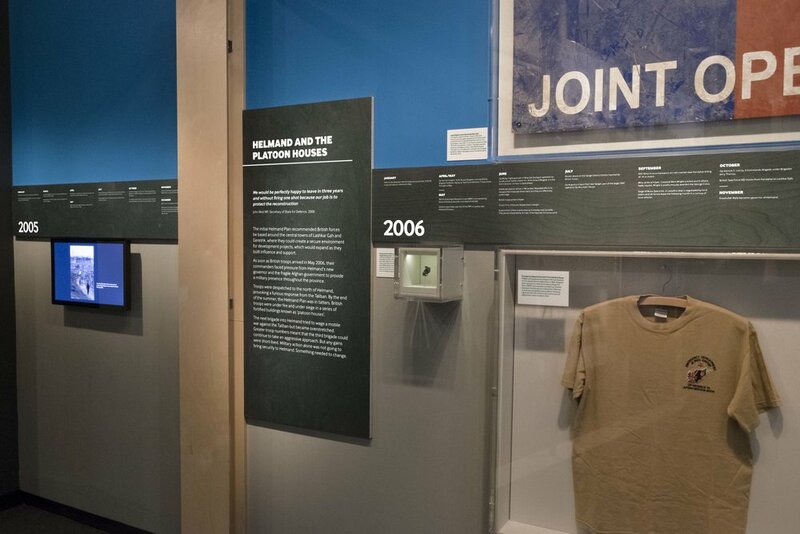 The exhibition design is articulated around a timeline that helps the visitors to understand the relationship between the events that shaped the conflict. The graphics, printed on plywood, create a horizon line that echo the colours and the geometry of the Helmand province landscape.